There are some holiday destinations that are more popular with Brits than others. Therefore, if you are looking to spend time away from your countrymen or are looking to spend time with them on holiday, the list below will give you a good indication of where you are likely to find British people overseas. The Spanish Canary Islands have for a long time been a holiday favourite for British people looking for gorgeous beaches and the sun. 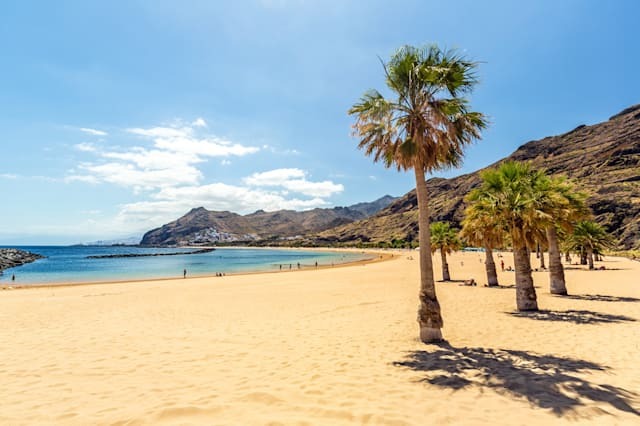 It’s no wonder that they choose Gran Canaria, Lanzarote and Tenerife then, as these islands have a very warm climate for most of the year and are only around 5 hours away if you are flying. The most British of the islands, without a shadow of a doubt, is Tenerife. These destinations experienced another popularity boom in 2015 and onwards, mainly due to the better exchange rate. Portugal and Algarve, in particular, has always been attractive to Brits. This is largely thanks to the castles, cliff-tops and amazing beaches found in Algarve. In southern Portugal, there are over 150 beaches to choose from and they offer a variety of different features from surfing hotspots to peaceful and tranquil sheltered coves. Praia De Marinha is arguably the most beautiful beach in Portugal, with its immaculate sand and limestone backdrop. Ibiza is probably best known for being Europe’s party capital and it really does have an unrivalled and unparalleled nightlife compared to other destinations on and off mainland Europe. We looked at Ibiza when we were looking to buy a Spanish home, but eventually opted for Malaga. There are though, various places to go and relax if you don’t want to party all night, day and weekend. Another attractive quality of the island is that it is only a 2.5-hour flight away from home. It is also relatively affordable and you are rewarded with pretty pine forests, sandy coves and idyllic whitewashed villages, in addition to the spectacular club scene. Orlando in Florida along the southern coast of the USA has always been a firm favourite with Brits looking for sun and fun that is a little further afield than Spanish islands and mainland Europe. A lot of the appeal for this American coastal town is the fact that the granddaddy of all theme parks calls it home – Walt Disney World. Further to visiting the most iconic park in the world, there are also other amazing places to visit such as The Kennedy Centre, Cocoa and Daytona Beach, Wizarding World of Harry Potter, Epcot and Universal Studios. The accommodation for the most part in Florida is extremely family and child-friendly and there are numerous water parks and swimming pools for cooling off from the heat in. It would be foolish to have a guide to the overseas destinations that Brits love without having a reference to Benidorm. The biggest selling point of this seaside resort is its predictability. There is never a shortage of sangria, sea, sand and of course, sun. It is also incredibly cheap compared to other places. Although the beaches are pretty crowded, you are less likely to have issues with party hard crowds who will more likely go to Ibiza and Magaluf. You are more likely to find older couples and families.